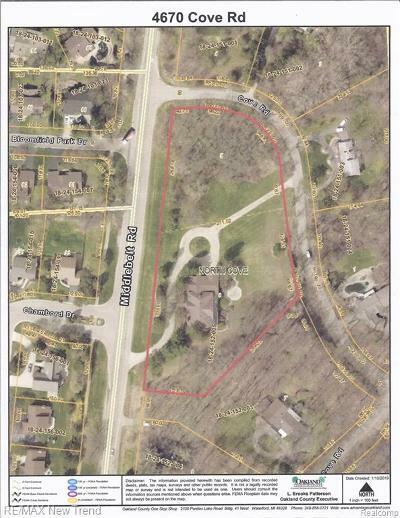 Great Opportunity to Build on Prime 1 Acre Walkout Lot located in North Cove Sub in West Bloomfield. Beautiful Treed Setting. Lake Privileges on All Sports Walnut Lake. Award-Winning Bloomfield Hills Schools. 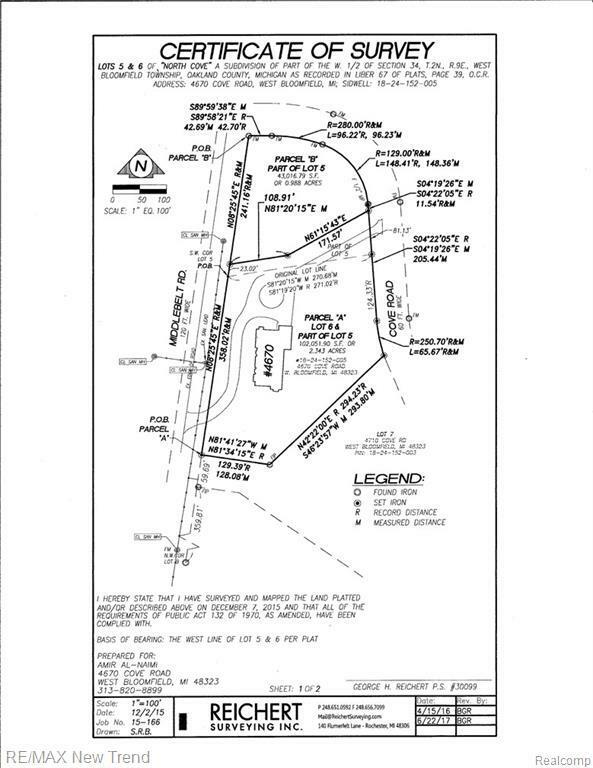 Seller will complete the split for this lot from a larger parcel upon receipt of an accepted offer. 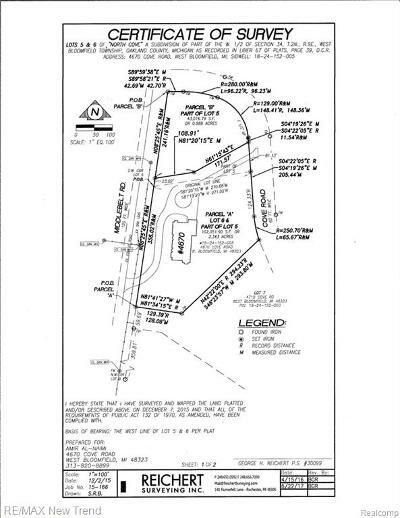 Survey available which shows approx lot dimensions and split. Please note that the tax ID# and taxes shown on this listing are for the whole larger parcel which also includes the house located at 4670 Cove Rd. 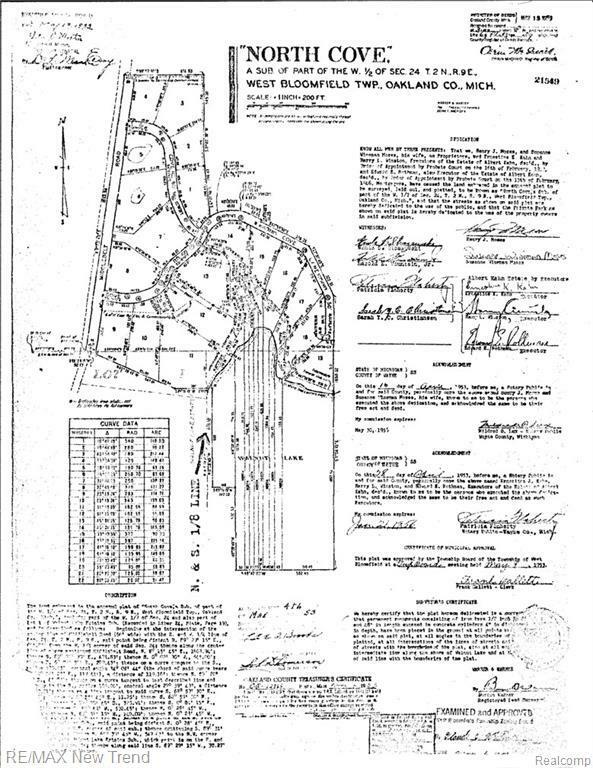 A new tax ID# and taxes will be assigned for the vacant parcel once the split is finalized. All M & D Approx.